When seeking the venue for a wedding or event in California, unique venues in Los Angeles are always a hot topic. Unique venues in Los Angeles are highly desired as wedding couples and event hosts are looking to provide the ultimate guest experience at their affair. Part of this experience stems from the venue. A unique venue can set the tone for creating a whimsical event! 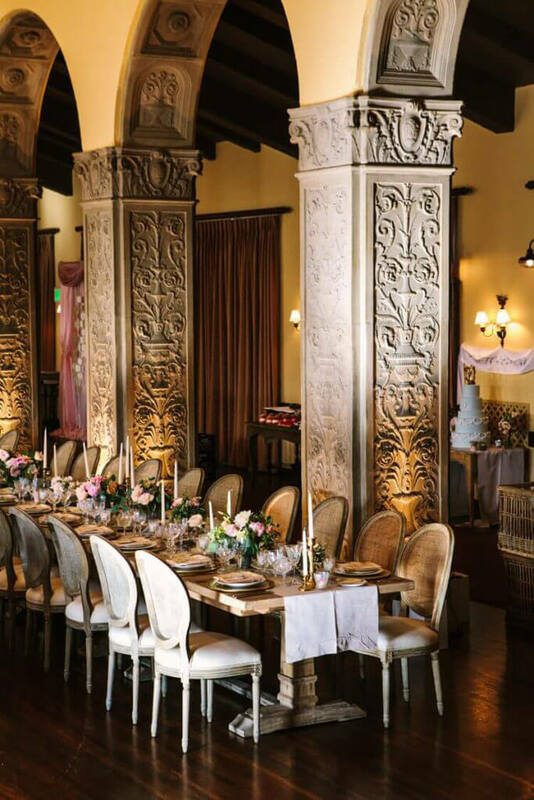 Unique venues in Los Angeles offer event hosts and their guests great location plus history, ambiance, and an experience they will never forget. Let’s take a look today at two unique venues in Los Angeles. The Ebell of Los Angeles fits the description for sure of unique venues in Los Angeles! From Wikipedia: The Ebell of Los Angeles is a women’s club housed in a complex in the Mid-Wilshire section of Los Angeles, California. It includes a clubhouse building and the 1,270-seat Wilshire Ebell Theatre. The complex has been owned and operated since 1927 by the Ebell of Los Angeles women’s club, which was formed in Los Angeles in 1894 or 1897.Since 1927, the Wilshire Ebell Theatre has hosted musical performances and lectures by world leaders and top artists. Among other events, the Ebell was the site of aviator Amelia Earhart’s last public appearance before attempting the 1937 around-the-world flight during which she disappeared. It is also the place where Judy Garland was discovered while performing as Baby Frances Gumm in the 1930s. 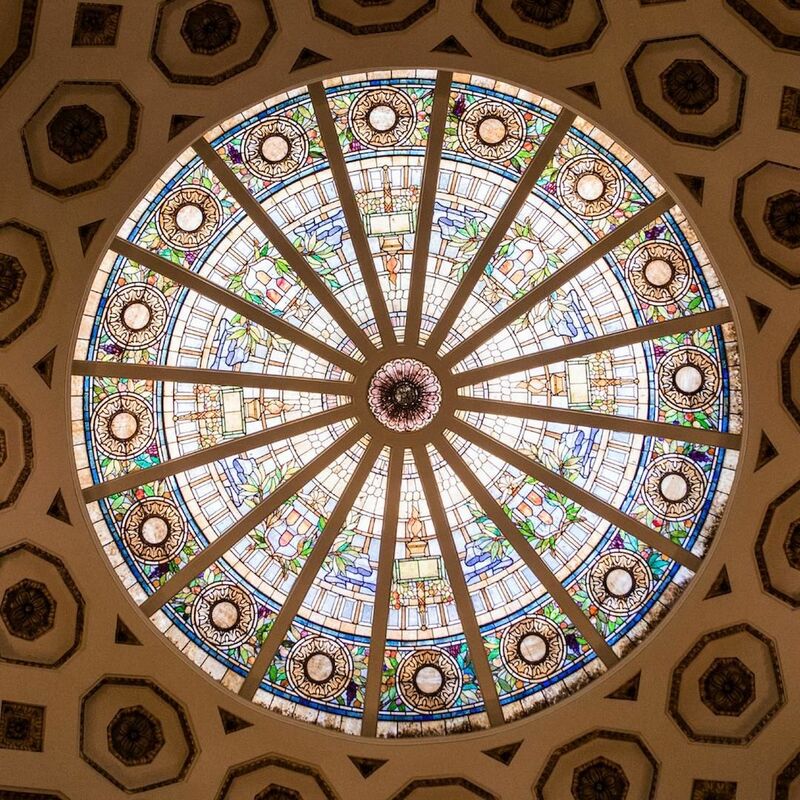 Located on Wilshire Boulevard in the heart of Los Angeles, the Ebell is home to a historic Clubhouse which includes two ballrooms, an art salon, and courtyard garden plus 1,200 seat Broadway-style theatre. When seeking out unique venues in Los Angeles, the Natural History Museum of Los Angeles County should definitely be on your list. One of the most amazing things about the events at the Natural History Museum is that they take place inside the galleries or outdoors in the Nature Gardens — not in adjoining banquet halls. Whether your guests are seated at the Chimpanzee Table for dinner, dining under the Dueling Dinos or having cocktails by the pond, they will have an amazing experience! Most events begin in the Grand Foyer or the Rotunda and branch out as needed into the African Mammal Hall or North American Mammal Hall…or both! These rooms can be used in any number of ways, depending on your guest count and the flow of your event. Access to Ground, Level 2 or other galleries is available for an additional fee. For information about the exhibits housed in each of the galleries, explore our exhibits online. Managing Guest Lists Can Be Fun! With AllSeated, creating or importing a guest list is a breeze – managing it is even easier! Instantly create seating charts by applying the guest list to the floorplan. Create multiple timelines for your event with the ability to view side by side ensuring no mistakes in scheduling are made!